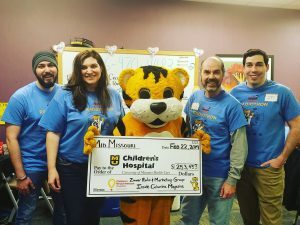 Missouri Credit Union Miracles for Kids Radiothon Recap - 94.3 KAT Country! 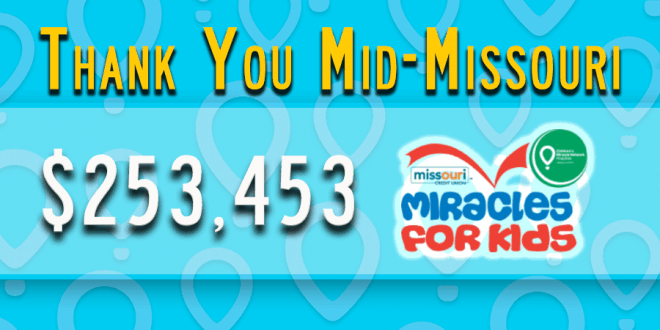 Thank you Mid-Missouri for an absolutely amazing 13th Annual Missouri Credit Union Miracles for Kids Radiothon. We are truly lucky to live in a community that is so generous. 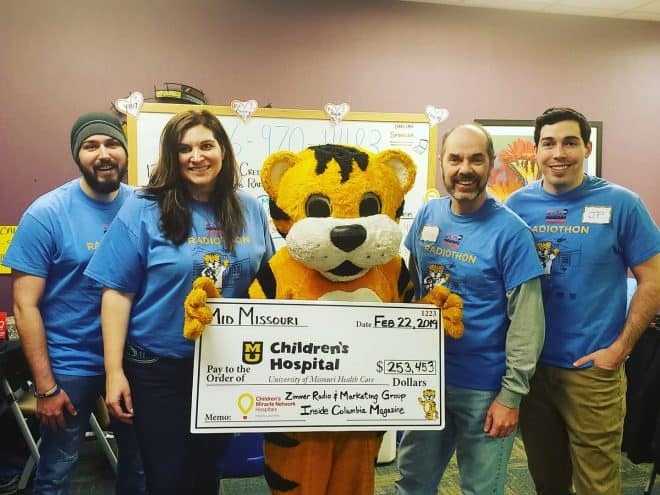 This year’s Missouri Credit Union Miracles for kids radiothon kicked off with the Columbia Chamber of Commerce cutting the ribbon. 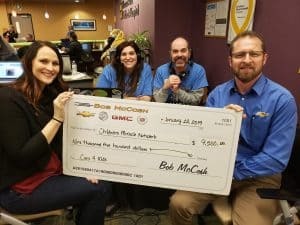 Hal James, President CEO of Missouri Credit Union, cut the ribbon with Children’s Miracle Network Coordinator Kristen Fritchie. Hilly & Hart back together again to help the kids at M.U. Women’s and Children’s Hospital. 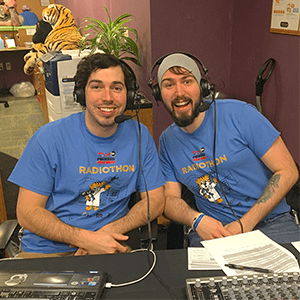 JP & Jordan Jay broadcasting live from the lobby at M.U. Women’s and Children’s Hospital. 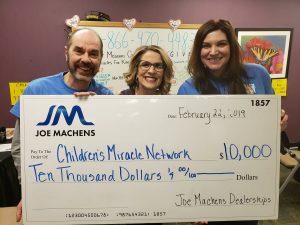 On top of the phones ringing off the hook from generous listeners calling in to become miracle makers, we had some amazing sponsors drop of some pretty big checks. 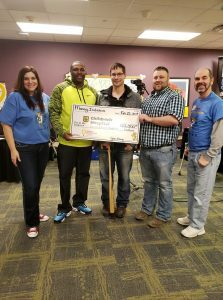 Joe Machens wrote a check for $10,000, Monnig Industry’s wrote a check for $10,000, Bob McCosh wrote a check for $9,500, and Tiger Express wrote a check for $5,150! And of course, we had some amazing conversations with families, nurses, doctors, and specialists whose lives have been impacted by M.U. 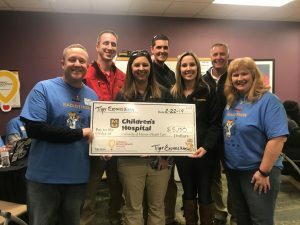 Women’s and Children’s Hospital. See our full gallery of photos on the 94.3 KAT Country Facebook page. We’re overwhelmed and humbled by your generosity. 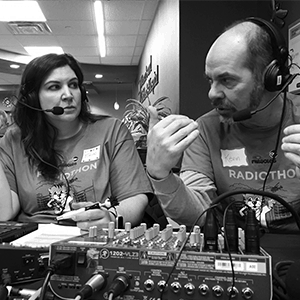 At the end of our two day radiothon, you helped us raise $253,453!